Today your child should be bringing home a paper titled Weekly TV. 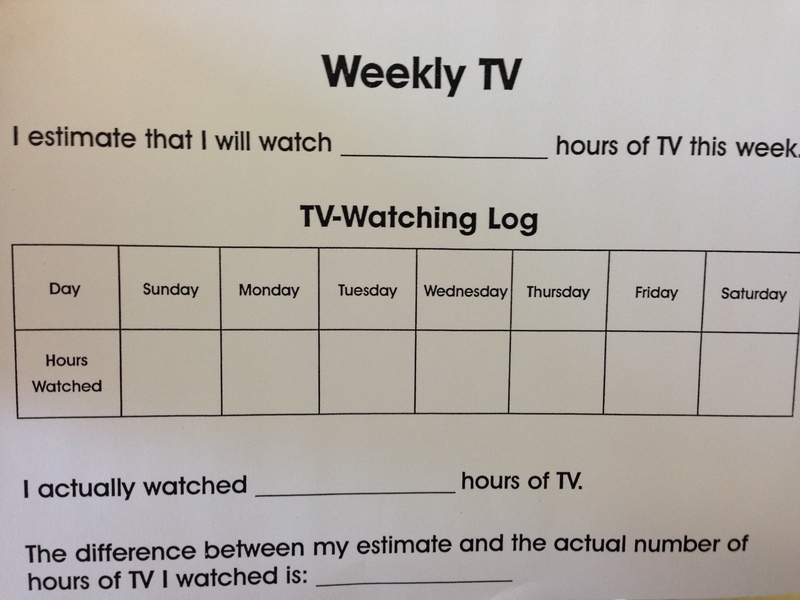 I have asked students to make a prediction or estimate how many hours of TV they will watch over the next week and then keep track to see how many hours they actually watch. Please help your child determine the number of hours (to the nearest half hour) that they watch each day and record it on the chart. The charts will be collected next Wednesday. Thanks for supporting your child to complete this activity. We will post class results on the website next week. Below is a picture of the sheet that went home. If you have any questions or comments I would love to hear them. This entry was posted in Homework, Numeracy and tagged Data Management, estimate, homework, predict, survey, TV by Ms. Duemm. Bookmark the permalink.